Please join the United Latinx Fund (ULF) Board of Directors for the launch of the 2017 Grant Cycle and to celebrate the work of our former grant recipients. The event will provide an overview of ULF's 2017 grant making process, launch our new brand and programming, and introduce innovative corporate partnerships. Featured keynote speaker James Alva, Senior Vice President, SoCal Community Development for Citibank, will discuss Citibank's investments to improve Los Angeles residents' economic wellbeing and in particular, how these investments benefit the Latinx community. This no cost event includes hosted food and bar. United Latinx Fund's Community Grants program invests in local nonprofits that deeply impact the communities they serve. ULF grants provide general operating support to nonprofits that provide job and housing opportunities for LA County's Latinx community. For nearly 30 years, ULF invests close to one million dollars in more than 600 nonprofit organizations and provides in-kind technical assistance to grantees. 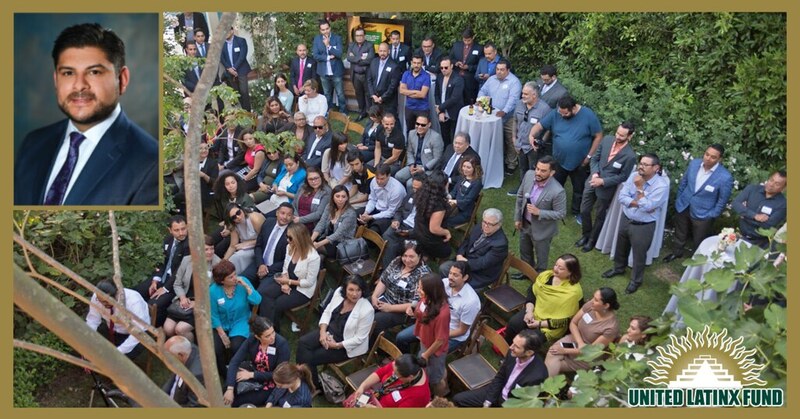 United Latinx Fund is Los Angeles’ leading foundation and philanthropic resource created for and by Latinx that transforms, uplifts and improves our community's quality of life by investing in sustainable, community driven-solutions. As a fund distribution agency, ULF coordinates fundraising campaigns through workplace giving programs, similar to the United Way.